After firing around 1200 employees in October, GM is again going for the big one. The news has just been broken by Herald Tribune - it is reported that US Automobile Giant General Motors GM or GM has reportedly laid off or fired around 3600 emplyees indefinitely. General Motors Corporation says that about 3,600 workers will be laid off indefinitely beginning early next year as the automaker slows down production at 10 of its assembly plants. The main reason quoted by the company is that market is going down, hence the demand has gone down and hence the production will be reduced. Less production or Prodcution Cut would mean less requirement for the employees and hence the GM job cut. IHT. GM spokesman Anthony Sapienza said Friday the production line "re-rates," as they are called, help reduce inventory and adjust to shrinking market demand. When will the General Motors GM Lay off Job Cut start? 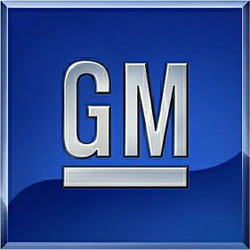 The General Motors GM Lay off Job Cut will start on January 12, 2009, which will mean that New Year will not be good for these 3600 employees of General motors. Which plants will be affected in this General Motors GM Lay off Job Cut? It will affect Michigan plants in Hamtramck and Lansing; Wentzville, Missouri; and Oshawa, Ontario. More slowdowns will begin Jan. 20 at factories in Bowling Green, Kentucky. ; Lordstown, Ohio; and Spring Hill, Tennessee. Re-rates also will start Feb. 2 in Oakland County's Orion Township in Michigan and Kansas City, Kansas, and Feb. 9 at a second Lansing plant.